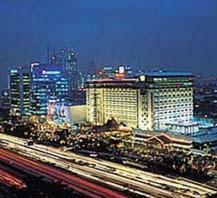 Kartika Chandra, Jakarta discount hotels and accommodation. Right in the heart of Jakarta, close to Government offices, Embassies, Shopping, Senayan Sport Complex, Central Business District, and Tourist attractions and about 25 minutes from Soekarno-Hatta International Airport. View photos, room descriptions and make online reservations at Kartika Chandra. Save on room prices at Kartika Chandra, Jakarta.